Another week down and another weekend upon us! We are going to celebrating our "dativersary" tonight with the CrossFit Open's 14.1! Did you watch the announcement last night? I am hoping to see an improvement in my performance this year. We shall see! Have a great weekend everyone, and Happy Anniversary to my Handsome Man! I can't wait to marry you in less than 6 months! 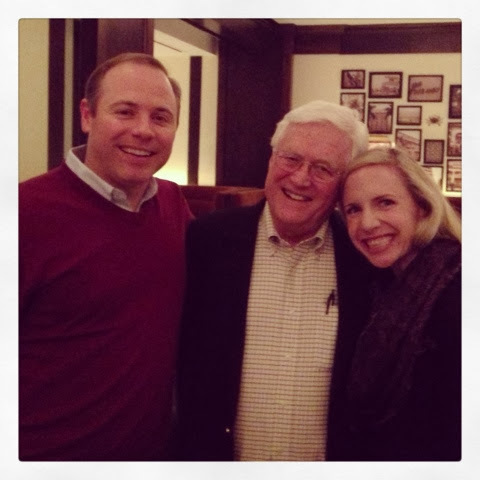 Alycyn's sweet Daddy took us out to Joe's Stone Crab for an incredible dinner on Monday. Joe's just opened about a month ago and it was FANTASTIC. The steaks were delicious and the crab was succulent. I can't wait to go back. The best part of the meal though was spending time with George. Alycyn's parents are the best, and I love getting to see them any chance I get! Thank you again George for a fabulous evening! I can't believe the CrossFit Open is already upon us! 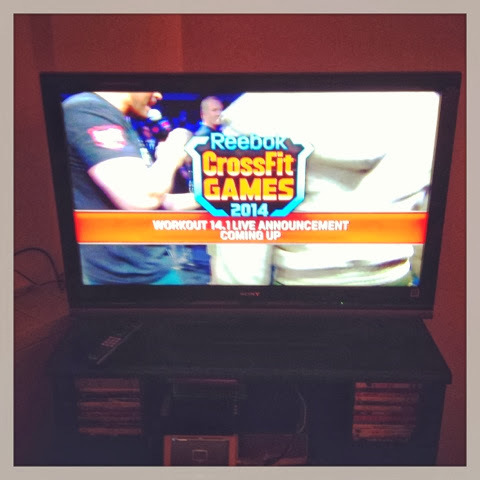 Josh and I hooked my iPad up to my TV last night so that we could watch the announcement on the big screen. I am excited for 14.1 tonight. Are you participating in the open? 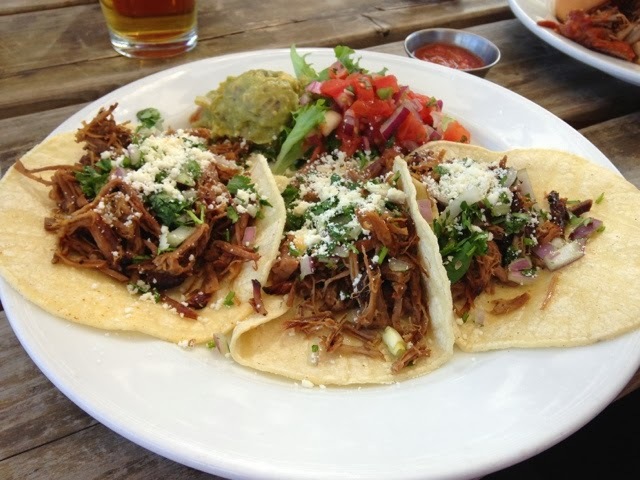 Some delicious brisket tacos I devoured back in Texas two weeks ago. 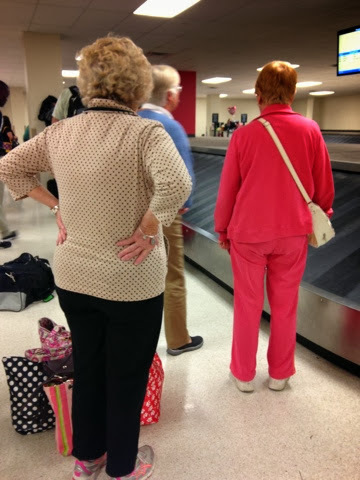 These little ladies were like the real life Golden Girls and were returning from a trip to NOLA. You could tell they had been friends forever, and I look forward to still traveling with my friends when I am the young-age of 80 too! 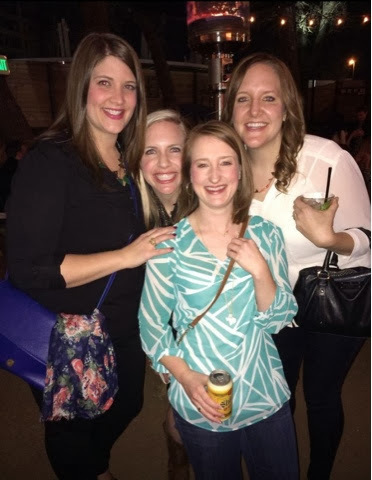 One more picture from our fabulous trip to Dallas! I love these girls. If you missed my recap (a pretty good one if I do say so myself), click here!